This is the normal ticket only allowing you to enter the site of Machu Picchu. This ticket does not allow you to climb Huayna Picchu or see the Machu Picchu museum. The ticket cost 126 Soles for foreigners. This ticket gives you access to the site of Machu Picchu (again without Huayna Picchu) and to the Machu Picchu Museum which is located at the beginning of the road leading to the site itself, at about 1.4km from Aguas Calientes. The museum has a nice collection but due to time and location many people do not see the chance to visit this museum. These entrance tickets cost 148 Soles for foreigners. This ticket is the ticket that includes both the visit to Machu Picchu as the climb to Huayna Picchu. Please note that for these tickets there are two time slots to climb Huayna Picchu, the first group being from 7-8AM and the second group from 10-11AM. The number of people allowed to climb Huayna Picchu daily is 400 and as tickets are sold with a assigned time to climb, there are only 200 tickets available for each time. Make sure that you arrive at the foot at Huayna Picchu before the last time on your ticket as they will not let you in anymore after the time slot indicated on your ticket. This ticket costs 150 Soles for foreigners. Also please keep in mind that if you would be coming from Cusco or the Sacred Valley on the same day, it may be difficult to arrive on time to climb Huayna Picchu within the designated hours. In case you would like to climb Huayna Picchu it is advisable to do the visit spread over two days and climb Huayna Picchu on the morning of the second day. 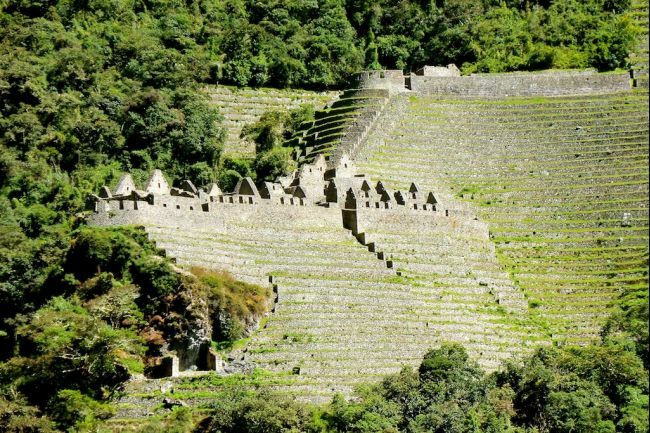 This ticket gives you access to the site of Machu Picchu and the Machu Picchu Mountain climb. The Machu Picchu Mountain is the mountain opposite of the Huayna Picchu Mountain and provides great alternative if the tickets for Huayna Picchu have been sold out. The climb is a little longer but less steep and less crowded. From Machu Picchu Mountain you will have amazing views of the site and will also give you the chance to see the Sun Gate, where the Inca Trail actually enters the site.